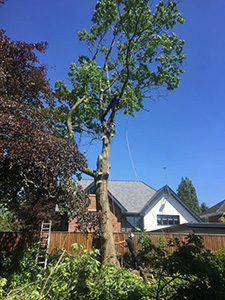 We are expert tree surgeons serving Wilmslow, Cheshire. We have many years’ experience in the field and are passionate about arboriculture. The equipment that we use is owned by us. This means that we are able to maintain it at all times and ensure that it is kept in its’ best-working order. We have vast experience in both domestic and commercial tree surgery work and have a range of professional qualifications to support our this. 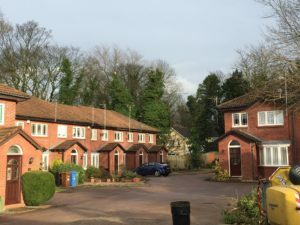 We work throughout all areas of Cheshire. Although, demand for our services means that we also work further afield. If you are looking for a professional tree surgeon in your area please feel free to enquire and we will do our best to accommodate your needs. 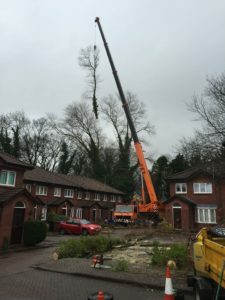 We provide all aspects of tree surgery. These services come with well-supported customer care. We always offer the very best service for each and every client. Our customer’s experience is important to us and we aim to offer the very best, professional and friendly service. We are available 24 hours a day and offer an emergency call-out service. It is vital for our clients that our provision is accessible at all times. Some of our projects require large cranes and an understanding of the safety elements is pivotal. Our services include tree removal, tree pruning, tree felling, stump grinding, tree reshaping and more. We complete small garden work through to large commercial projects. We are also comprehensively insured up to £2,000,000. This offers assurance when selecting Bostock Total Tree Services. Proof of insurance is available on request. Are you looking for a tree surgeon serving Wilmslow? Do you have problem trees that you have been meaning to sort? Our quotation service allows us to answer any questions and outline the schedule of works. It also provides our clients the opportunity of meeting us and gaining confidence from our approachable manner. This is a before and after image of tree surgery work done in Wilmslow. These trees has become hugely unmanageable over time. We were able to work our magic and create. The work offered a transformation for these home owners. We approach each and every job with professionalism and caution to ensure the work is completed satisfactorily and without error. Time-served experience allows us confidence with this approach. Furthermore, we have built up an enviable local reputation based around the delivery of an exceptional service. 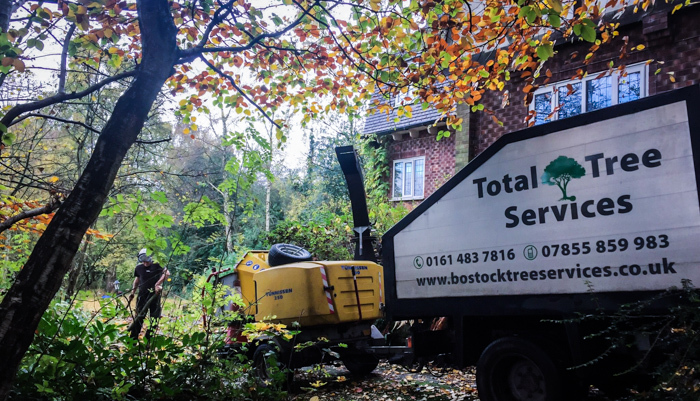 We are expert tree surgeons serving Wilmslow, Cheshire and invite you to enquire about our services.